There are many ways to flaunt your villainous nature in today's society. Actually, now that we think of it, it's almost impossible to avoid a few villainous deeds in a work week. Instead of feeling guilty about your misdeeds you could simply lean in. No, we're not talking about going on an arson spree or stealing candy from babies. We're simply talking about laughing a little maliciously when you're playing music that you know your significant other doesn't like on a long road trip. Or shrugging it off when you just "didn't see" chatty Kathy trying to catch the elevator that you're riding on Monday morning. Or hey, know what's really fun? Walk in front of a guy taking a picture of a family of tourists. That's a Disney villain level move! 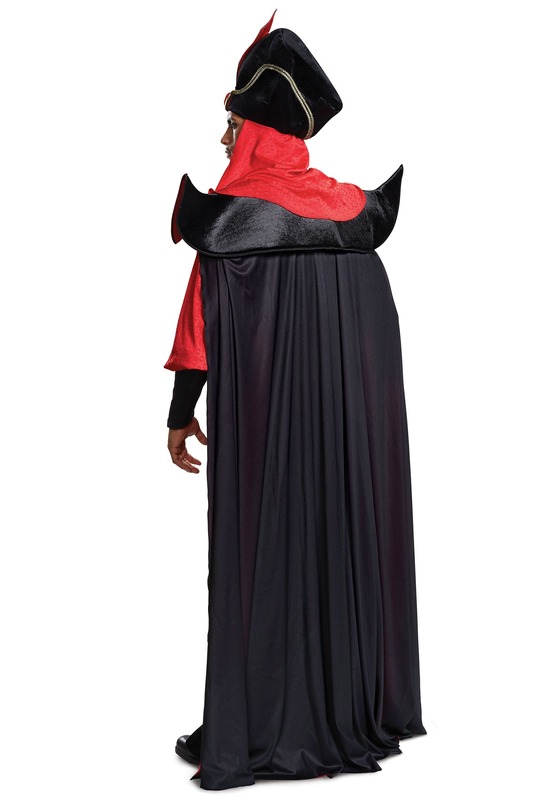 This Jafar ensemble is lush with full, billowing themes and a cape that will make your evil entrance a real show stopper! The body of the look has a velvety texture with a wrap look at the top. The waist is wrapped with the same textured red fabric of the sleeves. The pointed shoulders would make any villain proud. And the whole look is topped with a velvet hat with a satin accent and a large jewel at the hem and is finished off with a dramatic red veil. 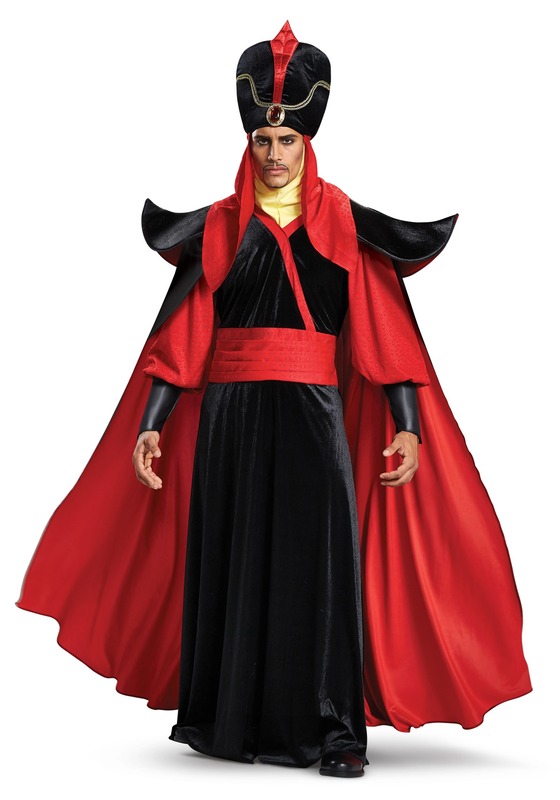 So, if you're ready to become a villain, Jafar is one of the best ways to go. Why is that? He makes the best entrances. He lays the best evil plans. And let's not forget those wonderful twisty beards! Now, we're not sure that you'll be able to convince quite like this powerful villain. Maybe those trances will work if you get ahold of one of those handy dandy snake staffs. Maybe that will help you get away with those day to day villainous acts. Cutting in line, anyone?